I finished my sweater .... sort of! 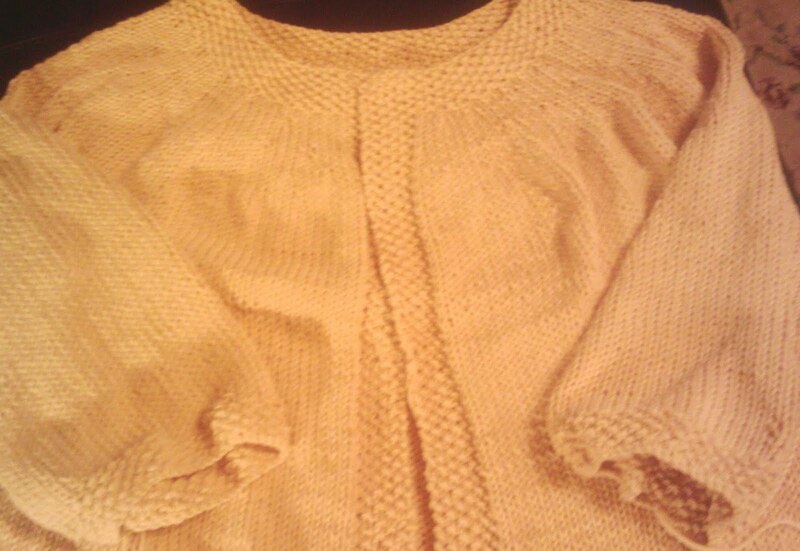 i still have to weave in all the loose ends and then find that perfect piece of ribbon to run down the front placket. But the most important thing is ... it's finished and i actually still LIKE it! I also did something rather grown up and mature - - i did a SWATCH ... checked my gauge AND then made appropriate (and CORRECT) adjustments to the pattern! and voila ... it actually fits! i made mistakes ... i ripped them out ... i recalculated .... and although it's nothing fancy, today i'm pleased with my golden cotton ART sweater!